Tim Chartier at Davidson College has discovered that if you make things out of candy there’s no lack of volunteers to help you clean up. 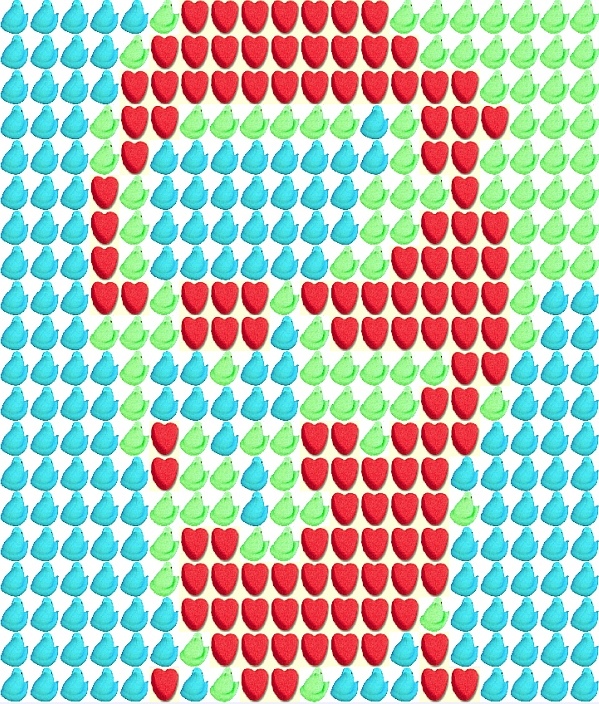 He takes images and transforms them mathematically into arrays of candy pieces. 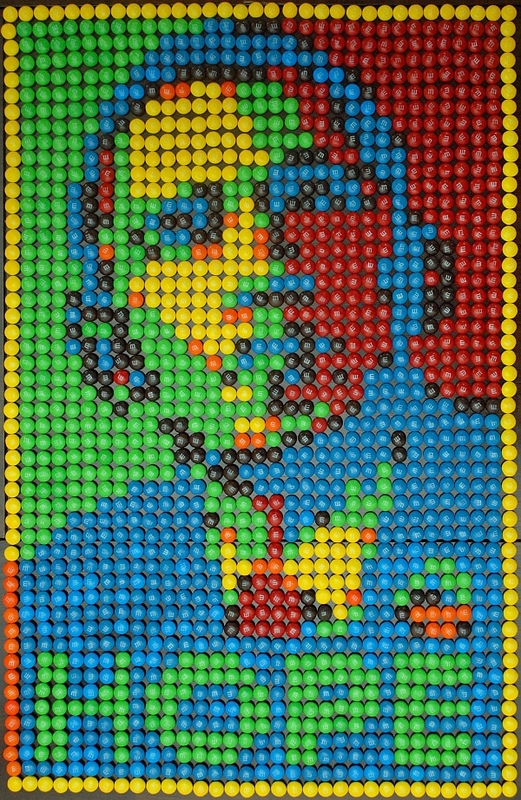 Here you can see President Obama, as rounded to the set of m&m color values. Mathematically, the algorithm picks the available color which is closest in red-green-blue-space to the average of the pixels it replaces. This article first appeared on Make: Online, April 18, 2011.